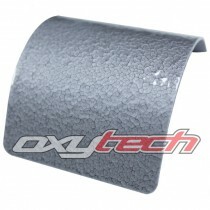 A mid-grey epoxy-polyester hybrid with a wrinkle finish. OXYPLAST Wrinkle finish powder coatings are highly decorative ripple-pattern finishes available in any of the OXYPLAST powder types e.g. epoxy, polyester and epoxy-polyester. In certain applications this finish is chosen because of its abilit..
Complement steel fencing colour: Grey Stone (Gram Fencing). A mid brown-grey with a matt finish. This PR12-based colour is a thermosetting powder coating based on saturated polyester resins specially selected for exterior use. Its very good flow-out and excellent resistance to atmospheric ageing an..
Complement steel fencing colours: Gull Grey, Shale Grey. A light mid-grey with a matt finish. This PR12-based colour is a thermosetting powder coating based on saturated polyester resins specially selected for exterior use. Its very good flow-out and excellent resistance to atmospheric ageing and u..
Complement steel fencing colour: Gully (C/bond). 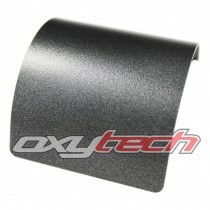 A mid to dark grey with a satin finish. This PR12-based colour is a thermosetting powder coating based on saturated polyester resins specially selected for exterior use. Its very good flow-out and excellent resistance to atmospheric ageing and ultra-..
Silver grey base with dark grey veined hammertone finish. OXYPLAST Hammertone powder coatings are highly decorative finishes consisting of a wrinkle pattern with a slight metallic appearance. 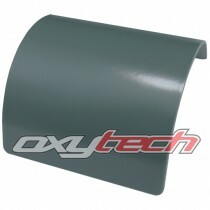 ..
Complement steel fencing colours: Hedge, Plantation (C/bond), Ocean Green (Gram), Planet Green. 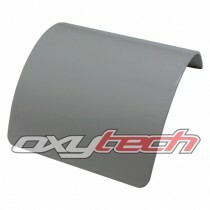 A dusty grey-green with a satin finish. This PR12-based colour is a thermosetting powder coating based on saturated polyester resins specially selected for exterior use. 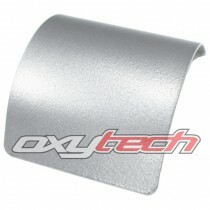 Its very good flow-out and excell..
A silver grey colour with a pearlescent satin-texture finish. 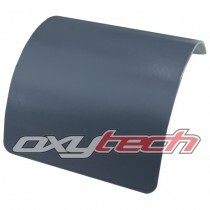 OXYCOLOUR MUFFLER COATINGS are silicone powder coatings designed for use in high temperature applications. 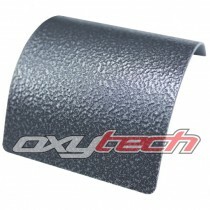 The pigments and resins create a performance coating able to withstand peak temperatures of up to 650°C (1200°F) and the r..
A dark grey-black colour with a pearlescent satin-texture finish. 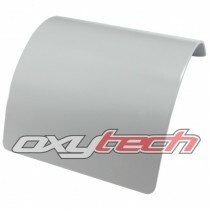 OXYCOLOUR MUFFLER COATINGS are silicone powder coatings designed for use in high temperature applications. The pigments and resins create a performance coating able to withstand peak temperatures of up to 650°C (1200°F) and t..
Complement steel fencing colours: Ironstone, Blue Rock (Gram Fencing), Iron Grey (Ace). A mid blue-grey with a satin finish. This PR12-based colour is a thermosetting powder coating based on saturated polyester resins specially selected for exterior use. Its very good flow-out and excellent resista..